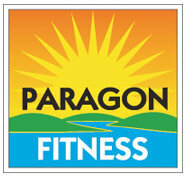 A Favourite Cheap Meal - Paragon Fitness Centre, Happy Valley Gym. Yes they look pretty but so does a poison arrow frog people! 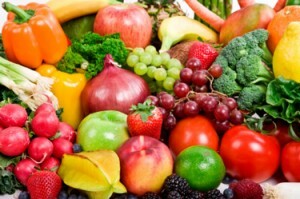 Carbohydrates are a form of fuel that your body uses for energy. Having said that, eating 10 donuts which also contain sugar and starch and fat and are High Gi will most likely cause you to have a sugar high and then an “I’m fat” low. You have probably heard that the French, the Italians, the Japanese and pretty much most cultures eat pastas and rice meals for breakfast. We all know how much the French love their croissants! The great question is probably why? I’m no historian but I’m pretty sure most of these countries have high farming and agricultural backgrounds, and to be doing high intensity labour all day long, you need a good fuel source to keep you going. There is such a thing called Nutrient Timing which explains a lot about eating the right fuels to support muscle growth, sports performance and development. It can however be applied to everyday life. I cannot tell you how many times I’ve trained clients early mornings and they cannot give the session 100% because they didn’t eat well before they trained. Having said this, it’s different for cardio, before a race etc. “Carb loading” is usually used by people running marathons etc. Obviously because I’m doing heavy weights training a larger portion of my meals are protein based but as I mentioned earlier, I use nutrient timing to try and get the most benefit out of my carb intake before training. So next time you think about skipping a meal and wonder why you couldn’t give 100% in that attack class, or just cannot put in as much effort as you would like to, look at the foods you are eating and maybe how energy-wise they affect you. You wouldn’t believe what your body would tell you once you start listening to it!